April 18, 2019 in Football // We now know the order in which the Jets will go 16-0!! We have now reached the LAST day of the SECOND phase of the NCAA tournament. After today, FOUR teams will head down to San Antonio to play in the Final Four next Saturday. Last night we found out the FIRST match up in the Semifinals when Loyola-Chicago UPSET Kansas State to become the first ELEVEN seed in almost TEN years to get to the Final Four and Michigan beat Florida State to return to the Final Four for the FIRST time since 2013. 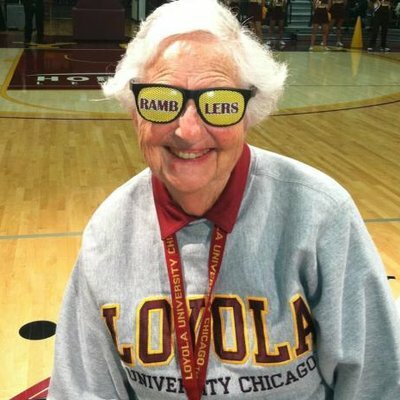 The Cinderella run of Sister Jean and the Loyola-Chicago Ramblers continued last night when they had a WIRE-to-WIRE beat down of Kansas State. NOBODY thought that the Ramblers would make it this far in the Tourney, but this why March Madness is so SPECIAL. The Ramblers will taking on the Michigan Wolverines next Saturday, who had to SURVIVE a late run by Florida State to advance to the Final Four. Michigan was one of the HOTTEST teams in the country going into the Tournament, will that run END at the hands of Sister Jean? We will find out next weekend. Today the other TWO tickets to the Final Four will be punched when Villanova takes on Texas Tech later this afternoon and Duke takes on Kansas this evening. Villanova was able to HOLD-OFF West Virginia in the Sweet Sixteen, while Texas Tech beat Purdue COMFORTABLY. Villanova is the BEST team left in the tournament, so it would be a SHOCKER if they do not get to San Antonio, but when we saw an ELEVEN seed PUNCH their ticket to San Antonio, anything can happen in that game Today. In the other game today, we will see a battle of TWO Blue Bloods of College Basketball trying to add ONE more trophy to their Cabinets. Kansas has been COASTING to the Elite Eight for the most part, they have been the SECOND best team in the Tournament behind Villanova, they will need to WIN today to get a chance to face Villanova in the next round. Duke SURVIVED the zone defense of Syracuse to get to this round, they will need ANOTHER great game tonight to SURVIVE and ADVANCE to the Final Four. I am going to put my HAND UP and ADMIT that I totally FORGOT to do my picks for Yesterday’s games and that is on me. Once I realized that the games were about to start, I knew it was too LATE for me to publish my picks, so yeah I am SORRY to the FOUR people that are going to read this. On Friday night, I had my BEST night of the Tournament, going 3-1 in my picks and I am now just TWO games BELOW .500 with FIVE games left in the Tourney. I have no IDEA how I am so CLOSE to having a WINNING record for my picks this year. There are only THREE games left in the College Basketball season after today, so CHERISH the games today. See you NEXT Saturday!